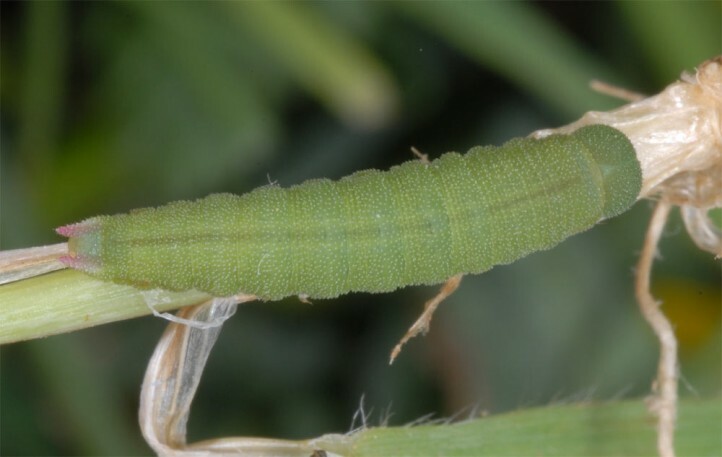 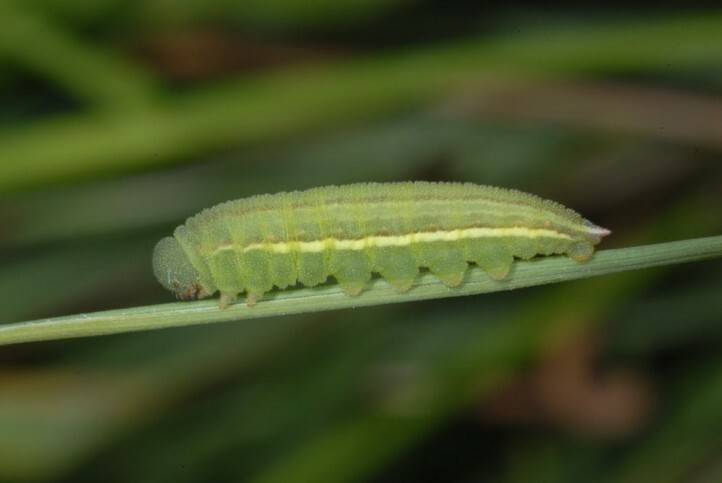 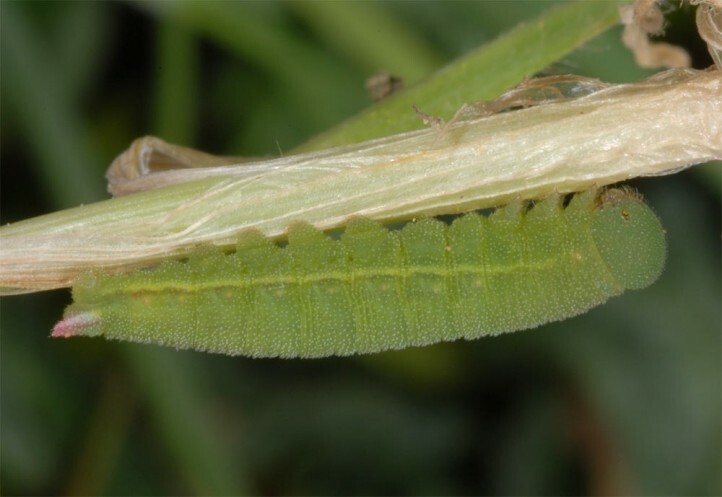 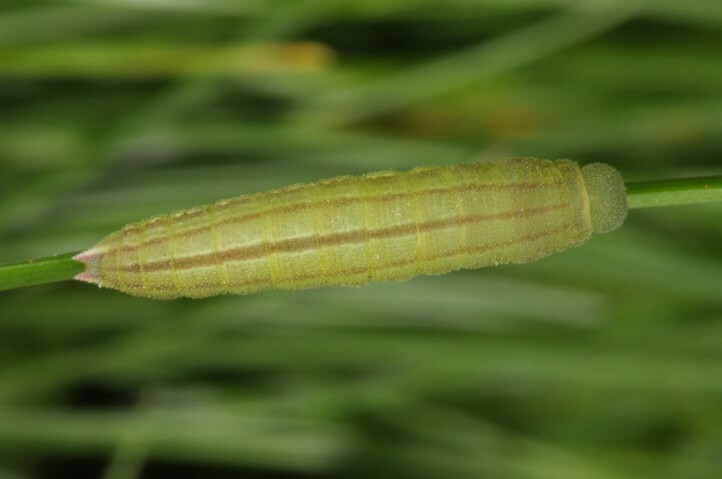 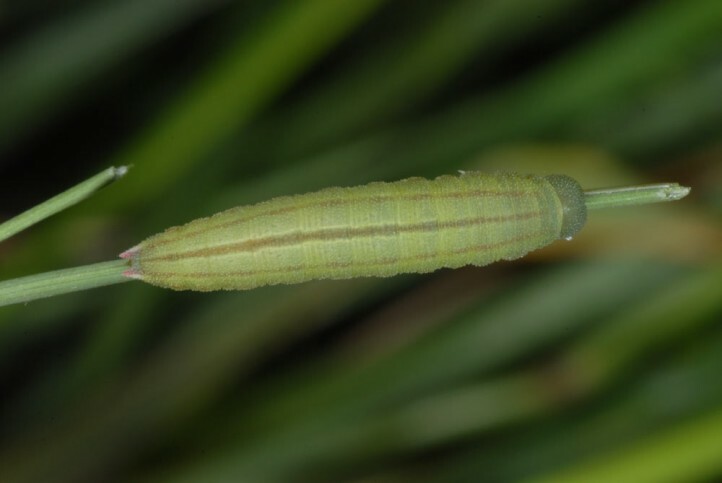 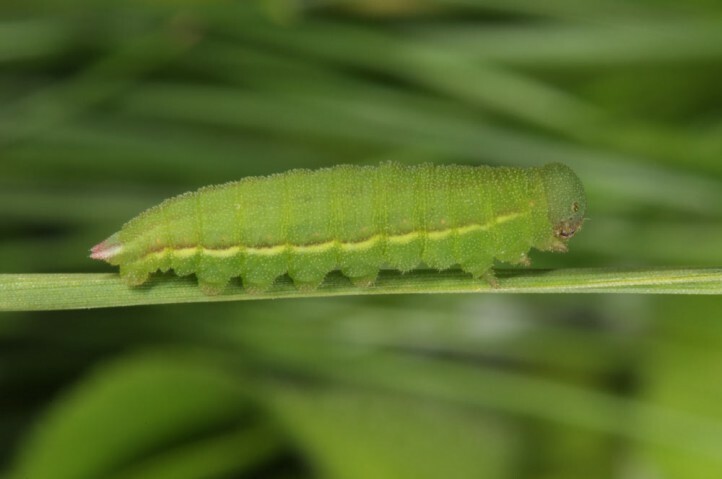 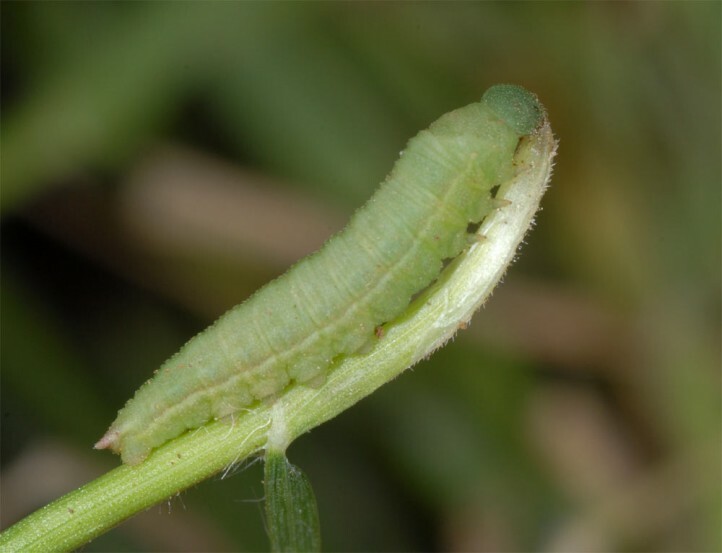 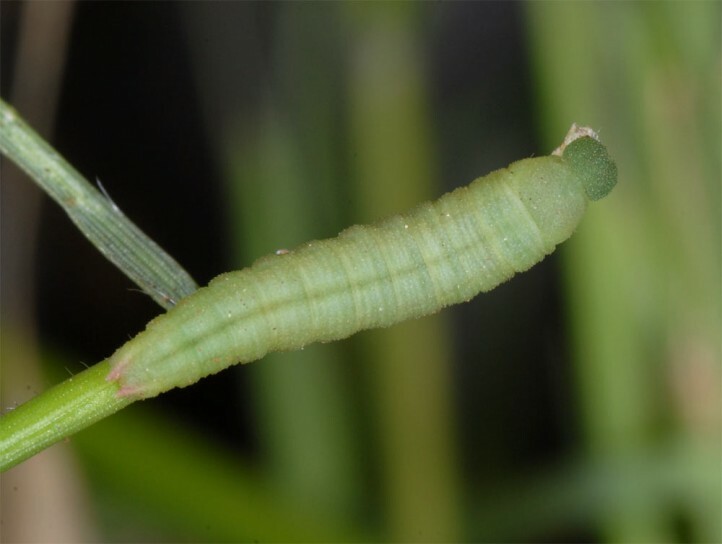 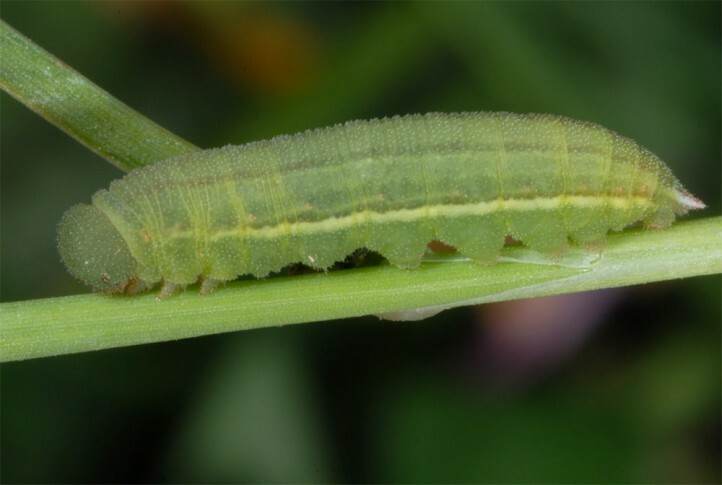 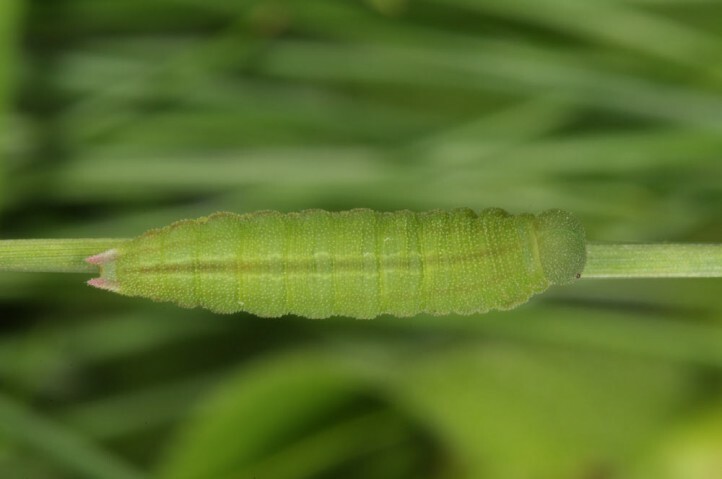 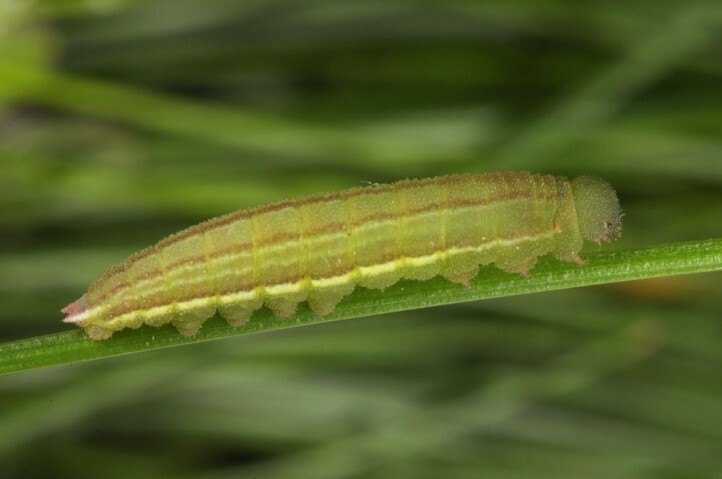 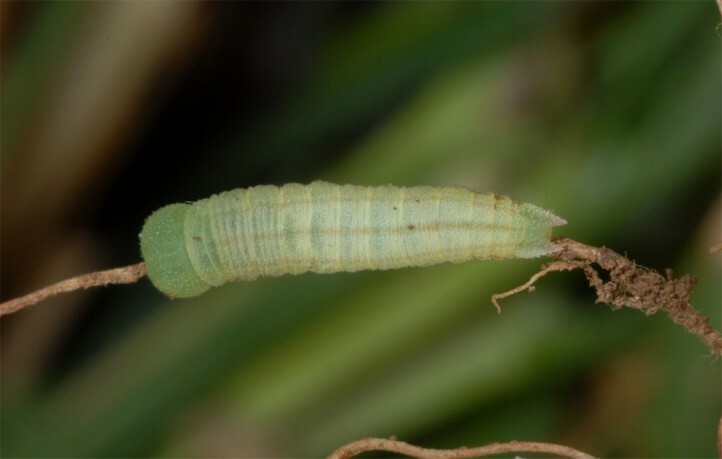 The larva feeds on grasses (Poaceae). 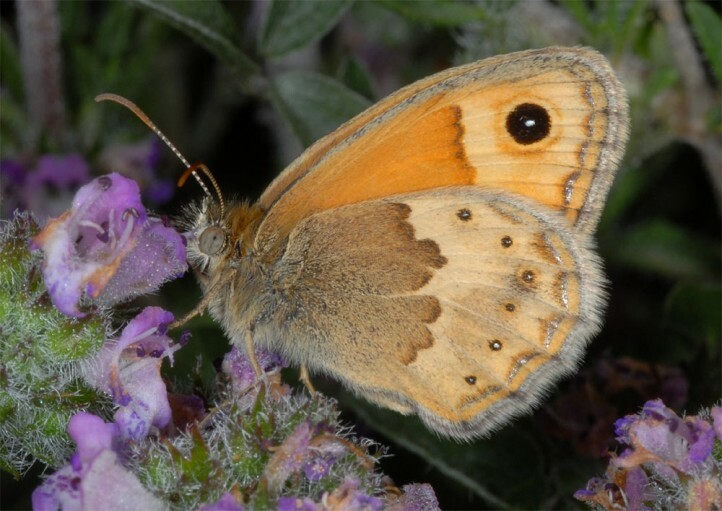 Coenonympha thyrsis inhabits nearly all possible at least half open places from the coast up to 2000m asl. 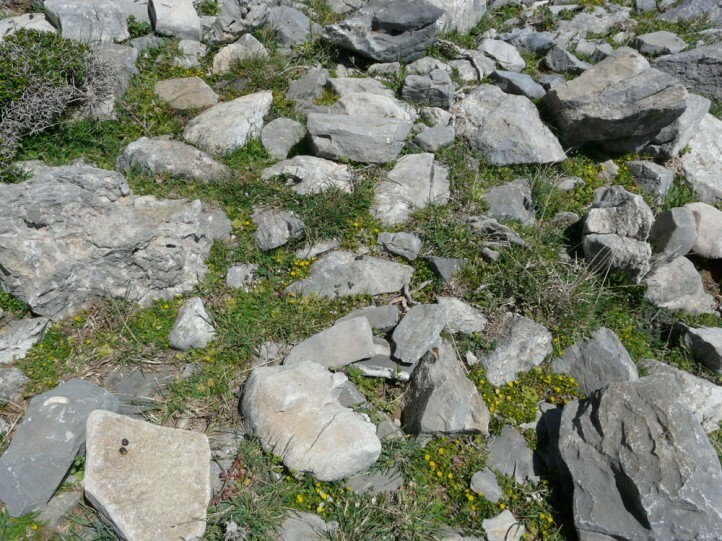 I observed it commonly on rocky to stony slopes. 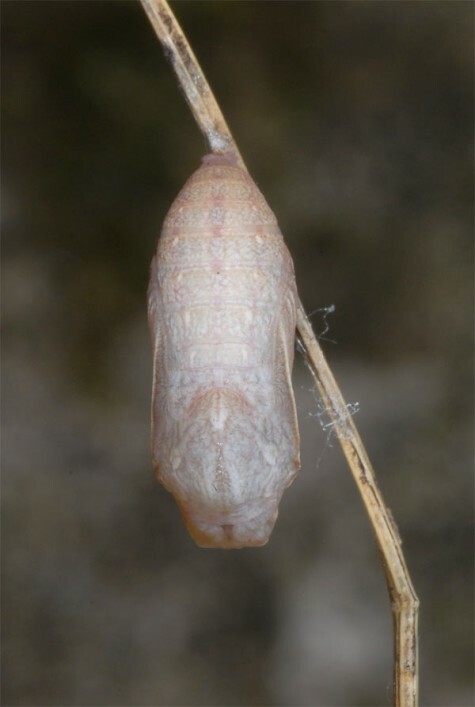 The larva hibernates. 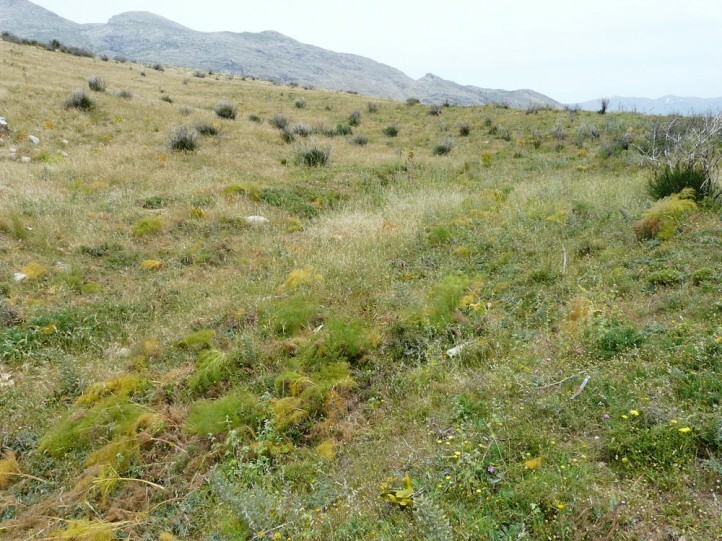 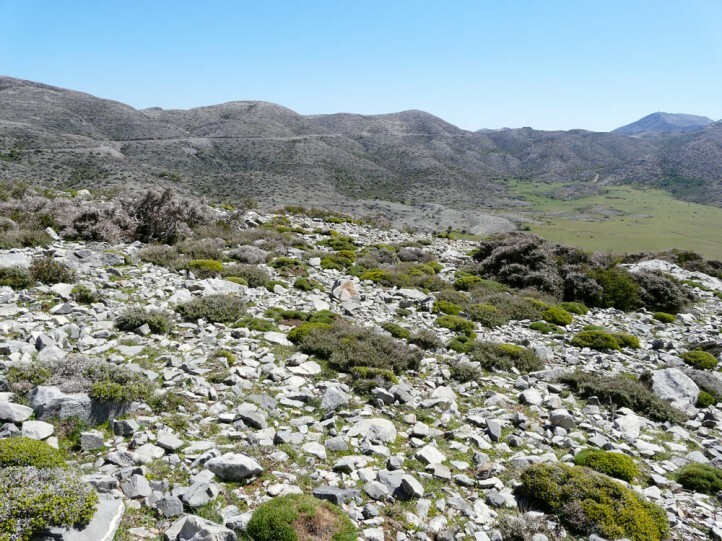 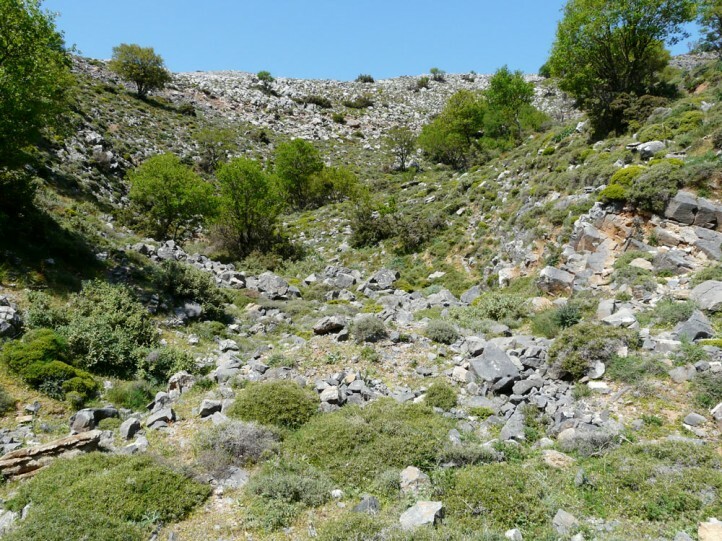 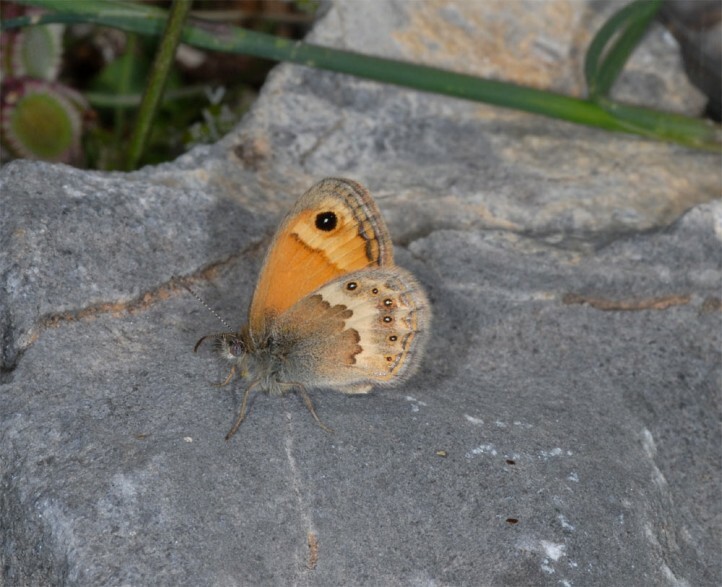 I observed it near the last moult in about 1600m asl in the Ida mountains in early May 2013. 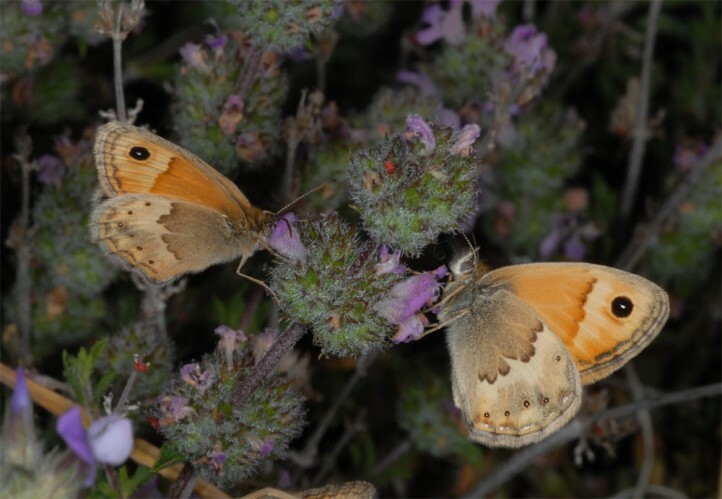 At this time, adults were already abundant in the lowlands. 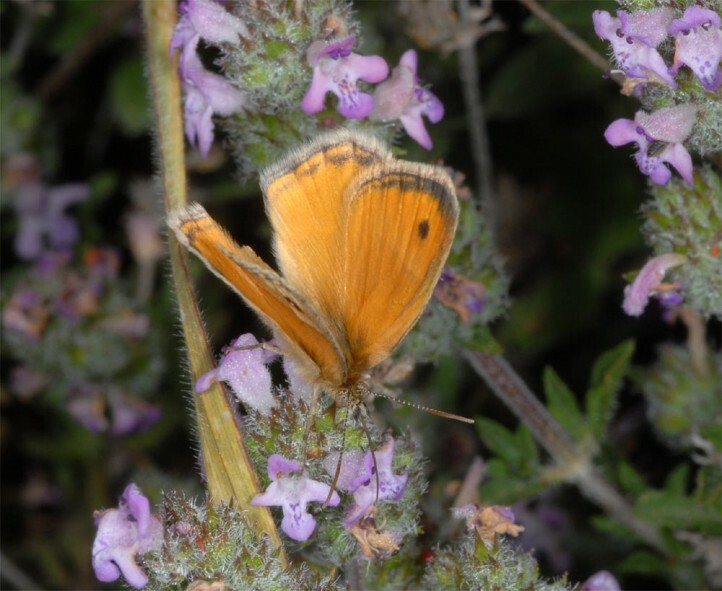 The butterflies are on the wing between late April and July (according to altitude) and obviously only very occasional even later in a very partial second generation. 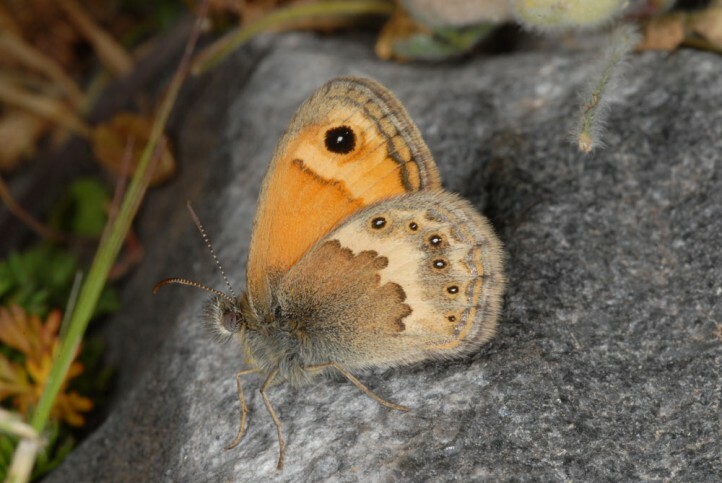 The adults often sit on the ground or stones and eagerly visit flowers, e.g. 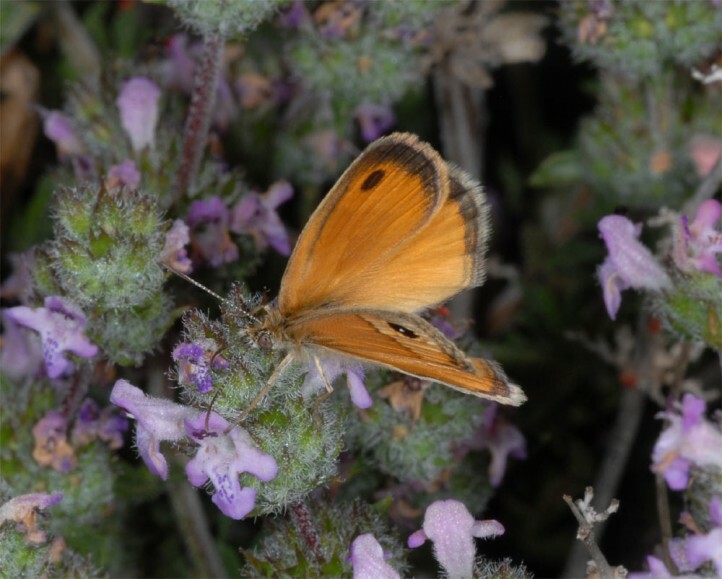 Lamiaceae like Thymus. 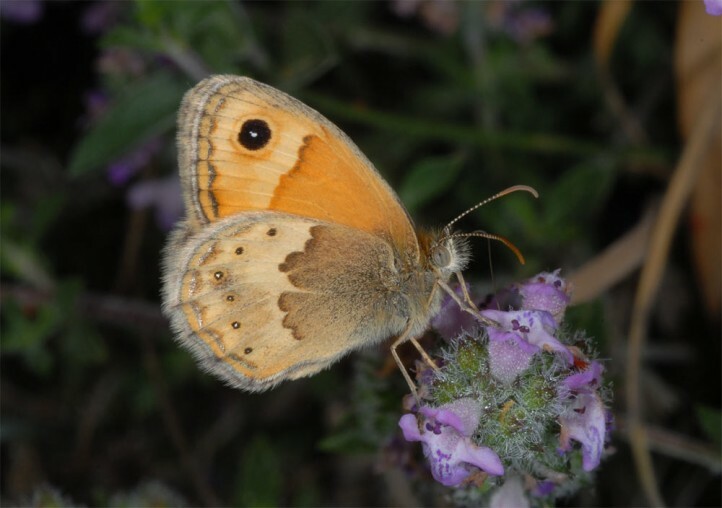 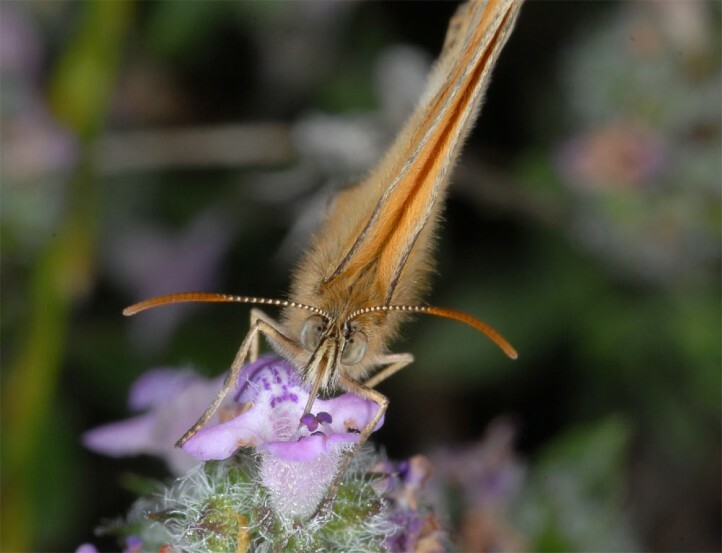 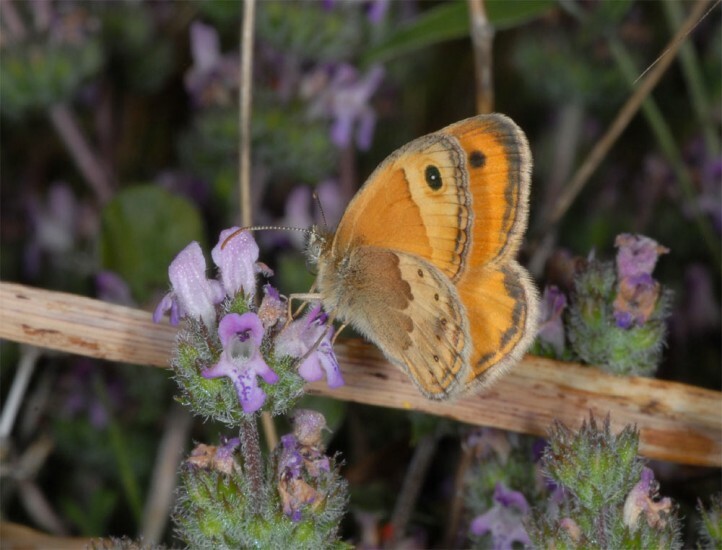 Coenonympha thyrsis is not endangered at the moment despite the fact that it already has lost many habitats near the coast due to heavy tourism development. 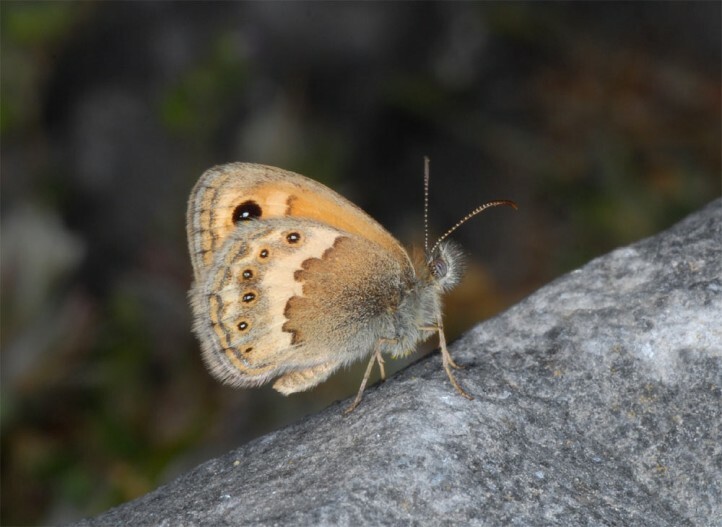 Coenonympha thyrsis is endemic to Crete (Greece). 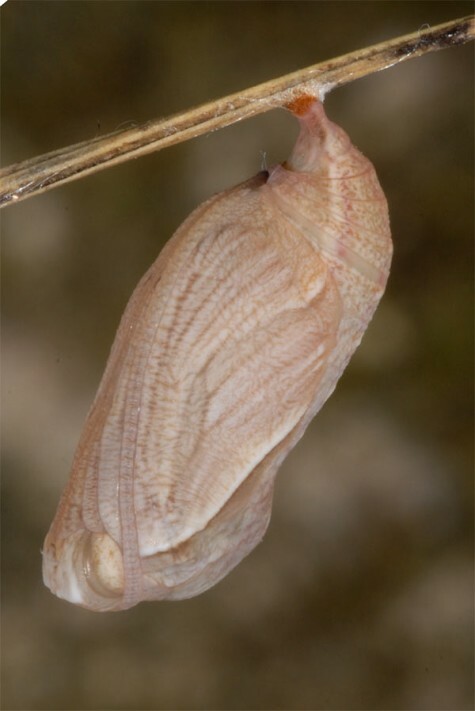 But as it is the case with most Cretian endemics, differentiation is not very progressed. 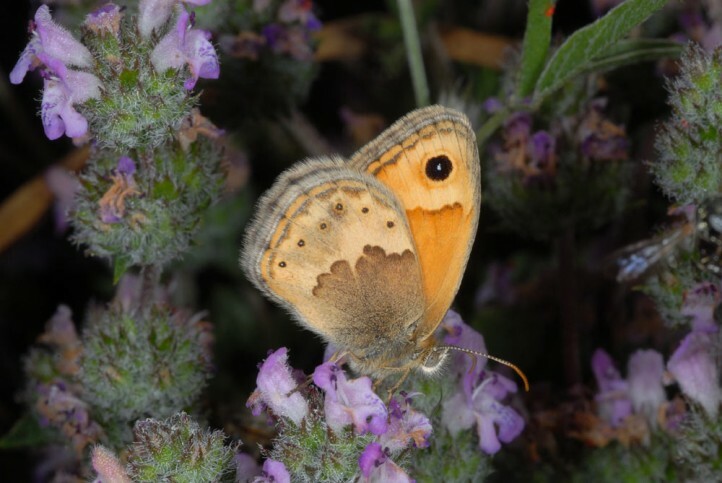 So Coenonympha thyrsis is so close to Coenonympha pamphilus which does not occur on this island (but in the neighbourhood), that a classification as subspecies might be justified, too.